Penny Churchill takes a look at the former home of Randolph Caldecott, one of Britain's finest-ever children's illustrators, which has come to the market in Kent. The old English nursery rhyme The House that Jack Built is a convoluted tale of random events that reveals nothing about the house in question, nor the Jack who built it. 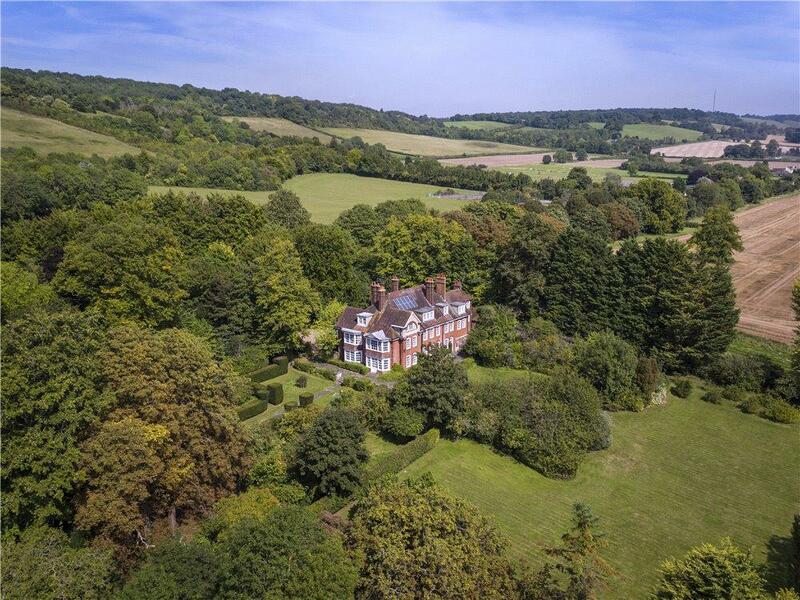 One house that can claim to be part of the story, however, is Wybournes at Kemsing, near Sevenoaks, which is now on the market via Knight Frank for offers over £2 million. This handsome, Edwardian home has links with the Victorian artist and illustrator Randolph Caldecott, who captivated a generation of children with his picture books based on nursery rhymes, the first of which was The House that Jack Built, published in 1878. Illustration by Randolph Caldecott for ‘The House That Jack Built,’ 1878. The success of the books brought Caldecott fame and fortune and, a year later, he moved to Wybournes. While living there he courted his future wife, Marian, whom he married in 1880. The artist’s memories of Wybournes are perpetuated in a number of sketches featured in his books – sketches which proved invaluable in the rebuilding of the home after it was destroyed by fire in 1906 and replaced by the present Queen Anne-style house, similar to the original Wybournes of Caldecott’s drawings. The house stands in a wonderfully private setting on the edge of Kemsing village, with far-reaching views to the south, east and west, over woodlands and open countryside. Little has changed in this elegant, beautifully proportioned house, which has been the home of the Gidley-Kitchin family since 1963 and is for sale following the death, in July last year, of Capt G. C. B. Gidley-Kitchin, aged 96. One of the last surviving officers of the 4th Battalion, Grenadier Guards, Capt Gidley-Kitchin saw action in Normandy and during the Battle for Estry in August 1944, where he was wounded. Three generations of his family have enjoyed the space and freedom of this lovely house, set in almost five acres of gardens, pasture and woodland. The hosue has five reception rooms, 10 bedrooms, six bathrooms and traditional domestic offices, plus ample secondary accommodation, garaging and outbuildings. Although in need of modernisation, Wybournes undoubtedly has what the Edwardians would call ‘good bones’. ‘With a manageable 8,723sq ft of living space on three floors, the house could easily be adapted to a more informal style,’ says selling agent Edward Rook. Mr Rook also suggests that ‘the formal drawing room, dining room and library need little alteration and the original domestic offices could easily be rationalised for family living, should they wish to retreat behind their own baize door’. They Caldecotts lived together at Wybournes until the autumn of 1882, when, according to the records of The Randolph Caldecott Society, the couple bought Broomfield at Frensham, Surrey, and also rented 24, Holland Street, Kensington, W8. Sadly, Caldecott suffered from poor health throughout his life and, in 1886, died while on a trip to Florida, shortly before his 40th birthday. Wybournes at Kemsing, near Sevenoaks is on the market via Knight Frank for offers over £2 million – see more pictures and details. Matthew Dennison pays tribute to artists who painted our collective childhoods.